The Season 11 premiere of BONES revealed yet another impactful character death – Booth’s brother Jared. 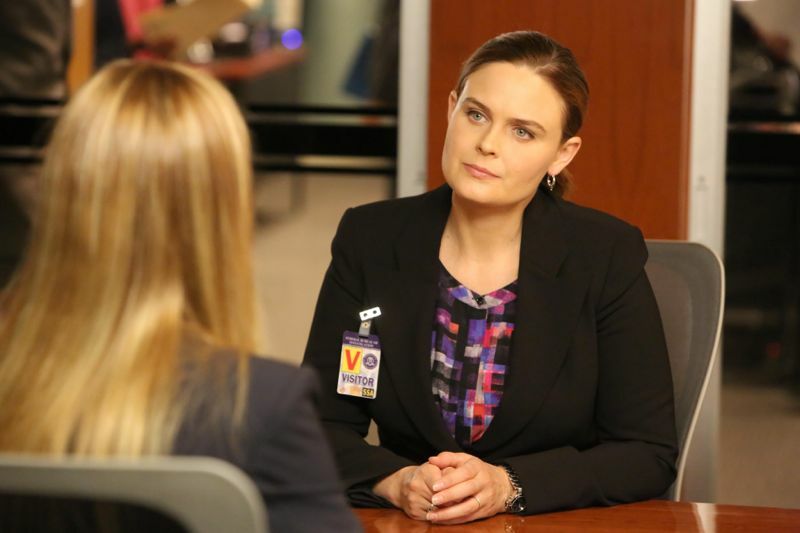 It was a scary few minutes wondering if the show had dared to kill off a primary character, but Dr. Temperance Brennan (Emily Deschanel) just needed a big nudge to get her back to the Smithsonian and using her immense skills and knowledge to crack homicide cases. As for Booth (David Boreanaz), well, he is in a bit of a predicament and how that plays out this season remains to be seen. 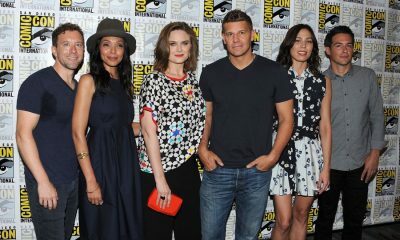 In a recent press call, star Emily Deschanel and executive producer Michael Peterson talked about where things are headed for Booth and Brennan in Season 11 of BONES. Emily when people meet you do they mistake you for character, expect you to be brilliant like Brennan and know all this medical stuff? EMILY: [Laughs] Of course, I’m brilliant just like my character. Yes, well, I mean people call me by my character all the time, I mean people call me Bones or Dr. Brennan. My favorite was in Spain people would say Doctora Brennan. I don’t know, sometimes people think I know medical stuff beyond Bones, too. They assume I know everything about the human body, which I, obviously, do not. I think people are mostly pretty savvy. I don’t get that many people thinking that I’ll be able to solve a murder or operate on somebody or whatever they think. There are a few people who, I guess I’m that convincing, they believe I’m really like that. MICHAEL: One of my favorite stories Hart ever told me was his dad came to set and watched you doing a line and he was just enamored with how you delivered it and he looked to Hart and said, “Where does she come up with this stuff?” Which is pretty fantastic to say that to the writer. 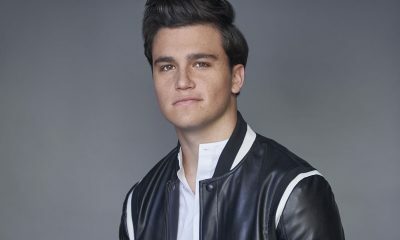 EMILY: So, so hard for Hart, Hart Hanson, who created the show, I’m sure so hard for him to hear because he’s the one that comes up with all the words. MICHAEL: He thought it was hysterical. Yes, he loved it. EMILY: I’ll take all the credit. Now you’re on the 11th Season, is there something that you have learned from working on the show, like scientific-wise or medical-wise? EMILY: Oh, my God, there are so many things. Of course, the minute you asked me that I have no idea. I can’t remember one thing. I certainly know the skeletal system a lot better than I ever have. There are still things that I couldn’t point out, all the little wrist bones, exactly which one is which and where they exactly go in the wrist. Yes, there’s trivia information that you can just get from dialogue, regardless of the science that we have to study and talk about on the show in order to film it. Yes, it’s lots, but I can’t think of one particular specific instance of something that comes to mind, but I have Mommy brain and there’s a limit. I feel like I learn my lines and I learn new things and I’m like, oh, that’s interesting, only whatever percentage of people in prison return to whatever it is and then I’ll forget it the next day, but I’ll learn something new for that day. I’m always learning new things, but I can’t retain them. What is the trajectory of the partnership this season? Are you guys going to focus more on Booth and Brennan again? Can you just talk about kind of where they’re at this season? MICHAEL: That was definitely the focus coming into this season, was when Jon Collier and I met with and talked to David and Emily our focus 100% is making sure to have as much time as possible with Booth and Brennan. That is the heart of the show. We will challenge ourselves to make sure to get as much screen time as possible. David gave us a note early on and he said go back and watch early seasons, like Seasons 1 and 2, and just really kind of see all the interactions that we were able to have early on and it was great, I did. I spent my hiatus watching all these episodes over and over again and it also inspired a lot of storylines. For instance, watching the pilot, it talks a lot about the first book that Temperance, that the Brennan character writes and how it’s inspired by each one of the characters on the show and that led to a fun storyline that is coming up I think in Episode 4 where there’s a twist in Brennan’s latest novel that is a sharp departure, but it leads to some pretty good back and forth between Booth and Brennan as a result of it. It’s been fun to re-discover those early seasons and then really having it reflect in this season. Pretty quickly Brennan seemed fine that Booth has basically lied perhaps to her and hidden his involvement with Jared’s group from her. Is that the end of that or will there be some ramifications to that secrecy later on? EMILY: Yes, that’s such a big thing. Michael you can probably answer that question better, though. MICHAEL: We’ll go into it some, but last year was very specific, you know, Booth lying about gambling versus what happened this year and I think that if it had just been a one-parter and David was reunited with her after the first episode I think that Brennan would have hit him a lot harder as far as accusations, but through the course of the second episode, what we’re trying to get to is she understands who she is better through this case, that she belongs at the lab. In discovering where she belongs she also understands Booth better, that Booth is this man of action. The way that we say it internally here is Booth is a little bit of a Superman and Superman can’t just sit by and watch as people suffer. There really is no retiring for him, so by the end of the second episode Brennan understands that she belongs in the lab and that her Superman, Booth, belongs out there in the field saving people. She understands him in a way that probably nobody else could, so while a lot of people would yell at him saying you lied to me, she understands it’s just who he is and she wouldn’t want him to be any other way. Kim Raver’s character, what was it like working with Kim – and with a character like that who didn’t take everyone’s word for about Booth? EMILY: I’ve been a fan of her work for a long time. She also went to BU, Boston University, where I went, so I’ve just been following her. I was very excited to work with her personally and she’s a delight. That was wonderful. And it was cool to have a character who challenges Booth and his motives and is really suspicious of him. It’s interesting to kind of come up against that because all of our characters do recognize Booth as the good man that he is and the hero at times, so it’s interesting to have a dynamic like that where somebody comes from a totally different perspective and we’re almost in a way having to defend him and what he’s done and what he does and his choices that he makes. It definitely added an interesting dynamic to the beginning of the season. What can you tell us about any major story arcs that are going to span several episodes or even an entire season for your 11th season? MICHAEL: There will be quite a few. If you’ve seen the first two episodes for Cam and Arastoo, we’ll be following their relationship very closely after what goes down in the first couple of episodes. Also, Hodgins and Angela in Episode 10, there will be a major shake-up for them and it also is going to be related to Aubrey. That’s our mid-season finale. It’s an episode that was actually, originally we were considering for our season opener, so we’re going to start with a quite literal bang, but that episode will be very interesting as far as how it will change the trajectory of the rest of the season. When Jon Collier and I were handed this gift to be able to work on this show and be able to be showrunners this year we wanted to make sure that we shook things up, and so there are going to be many, many major arcs. We don’t want to get complacent in the fact that Booth and Brennan are married and everyone is coupled up. We want to challenge them, but not in any kind of artificial way. We want it to be character-led. So, we’re going to have lots of arcs going for each of the people this season. What kind of big-bads are Brennan and Booth going to be facing this season? Are there any of them that you can tell us a little bit about? MICHAEL: Obviously, there’s the SLEEPY HOLLOW episode, so that’s a very interesting version of a big bad, which is in that one we’re going to find two sets of remains. One of them is going to be very, very old and that’s going to be more of a big bad from the SLEEPY HOLLOW universe. That’s going to be interesting in itself. Again, episode 10 is probably going to be the biggest bad that we’re going to come across and I really don’t want to give too much away there, but, as I said, it’s going to be something that impacts Hodgins, Angela and Aubrey very directly. Emily, it’s very clear that you and David have great chemistry. I was just curious, how long did it take for you both to build such a strong friendship that carried over on screen so well? EMILY: Well, ten years I guess. That’s always a focus of ours and for maybe six seasons would always work together on the weekend and building our chemistry has always been a focus of ours for our performances and I think that kind of commitment to the work in that way and to our characters and the relationship. We’ve made that a priority. Onscreen and off, it’s been important for us to get along and build that chemistry on camera. If you see chemistry, that’s not just an accident. We’ve worked on that, but, you know, it’s not that hard to have chemistry with David Boreanaz, I’ll be honest with you. I don’t have to work really hard. Some of the greatest episodes that kind of show that chemistry are when Bones and Booth go undercover. Which has been your favorite and will we get to see any more episodes like that this season? EMILY: I love the circus episode. That’s probably my favorite undercover episode. It was just a lot of fun to go and dress up. I had to kind of learn how to kind of fake walk on wire, or whatever you call it, tightrope walk and it wasn’t me actually tightrope walking up above very high, but I got to do it down low, like on a much lower wire, which was a lot of fun for just filming close-ups or closer shots. I actually hit my eye in real life and I had like a bruised eyeball and so we had to think of a way of covering that in that episode, so I got an eye patch. It was just such a crazy fun episode where we also had change things around all the time. So that was a lot of fun to me. I have a lot of favorite episodes, but that’s probably my favorite undercover episode for sure. version of undercover than we’ve ever done before, so it’s going to be very playful, competitive. It’s unlike any undercover we’ve done before, so we’re very excited. Will there be any stories kind of inspired by real events this season or any kind of news stories that have peaked your interest that you’d like to turn into something? MICHAEL: We’re always looking. Obviously, we read a ton and just look for inspiration anywhere we can. Hart Hanson actually e-mailed us recently asking whether or not we thought there was any kind of storyline with the young child in Texas who got arrested over building a clock. And that seems very much in the BONES wheelhouse. We haven’t really developed a story yet for that, but it certainly could be a possibility down the line. We look everywhere. I’ve got all my Google alerts that are set up for body finds and stuff like that. It gets a little morbid sometimes. We also have the bad habit of, it seems like when we write something then it actually does happen in real life, so we had one episode where a person was canned and then shortly after we started writing somebody actually died, I think it was at the Bumble Bee Tuna factory and was canned. Sometimes it goes the reverse of that and it’s horrifying, which led us to write a lottery episode hoping that if we write it and it happens, maybe we can win the lottery. Sadly, that did not happen. Over these years we’ve watched Brennan grow and she has had faults that she’s worked on, such as communication and kind of having emotional interactions with her friends and Seeley and things like that. Do you find that your everyday life affects her and do you find that you’re maybe inspired in your life by the character that you play? EMILY: I think absolutely. It’s hard to be on set for so many hours a day for ten months of the year or whatever we do and not have the actor leak into the character and vice versa. I think my husband will tell you that definitely I’ve taken on some qualities of Brennan, but then he didn’t really start dating me until after I started the show. Maybe he just thinks they’re from Brennan. There are certain things, we have similarities. I take things literally, just like Brennan. I don’t follow metaphor very well. I like practical things, the tangibles, etc. Sometimes the way I’ll phrase things will sound like Brennan. You’ll see different sides of Brennan in me from day-to-day and vice versa. I think definitely Brennan has softened a bit over the years and probably we’ve kind of met in the middle somewhere. I’ve hardened, she’s softened and now we’re kind of the same person, I don’t know; not quite that. We have heard Betty White is going to be on an episode. How was it to work with her? Have you worked with her yet? EMILY: Yes, yes we have and she’s amazing and it was a dream come true working with her. She’s 93 years old and she came in, was so professional, she knew her lines. She was just so lovely to talk to and she’s just a jokester. She’s making all these jokes and pretending to get hurt and everyone runs to her and she’s like laughing. It was a dream come true to work with her. I mean, we had Cyndi Lauper, Betty White, these people I adored from when I was much younger and so it’s so much fun to get to meet these people in person and also they don’t disappoint in terms of their kindness and fascinating personalities. It was a great joy to have her on set. I hope we bring back Beth Mayer, Dr. Beth Mayer, the forensic anthropologist, to be an intern. And it was fun to also have a rivalry with her, which we kind of do have on the show. It’s a lot of fun. 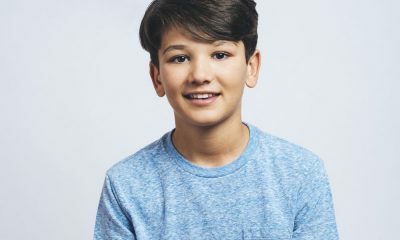 How will Booth and Brennan’s life change now that they have two children instead of one and will we see anything that they’ll have to deal with given that now they have another little one running around? MICHAEL: Well, Emily and I, we were very smart in preparation for this as Emily, obviously, had her second child and I had mine also over the hiatus. We’re hoping that real life will inspire us. Yes, obviously, it’s totally different one versus two and right away we’re going to see some of that and there’s a sweetness that comes, especially I think it’s the third episode. We see in the first two episodes the death of Jared and the things that you do when you have a little brother and now Christine has that little brother. There are some direct parallels and it works very well. It’s a nice little emotional conclusion to that. I’m hoping that my little one will inspire many great stories. Emily and I will be comparing notes all year and we’ll see what we come out of it. Can you comment on how the way that we watch television now has changed so much even since BONES first began with streaming and on-demand and also social media, and how that affects the way that the stories are being told now in this season? MICHAEL: The biggest thing I think everything just, you know, the quality of TV is fantastic right now and you want to keep up with all the great shows, your MAD MENs, your GAME OF THRONES, I mean everybody since THE SOPRANOS. The bar has been raised and you want to bring better and better work all the time. That’s the first thing. Then, secondly, there are just subtle differences. We were cutting a show recently and the transitions between acts, I think, are, for instance, a little bit more subtle because many people now are going to watch things without commercials. You want to make sure that it plays well for those people as well as somebody who is watching with a three-minute interruption in between the show. You want to cut the shows just slightly different so that it’s seamless, if you’re watching it streaming or if it works with a break in between it. And that’s probably been the biggest thing that I’ve noticed. I think we edit it just a little bit different because of that. Back in the day you’d almost have a recap to remind people what happened in between the three minutes of commercial airtime and now it’s got to be a lot more just continuous. 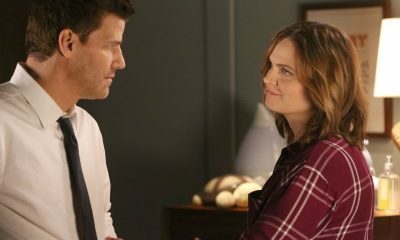 To see how Brennan and Booth continue to navigate their new family and working dynamic and the ripple-effects of Jared’s death, be sure to tune in for all new episodes of BONES on Thursday nights at 8:00 p.m. on Fox.